The Veterinary Chiropractic Learning Centre is associated with The Healing Oasis Wellness Center in Sturtevant, Wisconsin, which also offers post-graduate programs for licensed health care professionals. The VCLC offers a program that is specific to currently licensed chiropractors and veterinarians. Dr. Annette Langlois graduated from the Canadian Memorial Chiropractic College in 1987. At that time she entered into practice in Brantford, Ontario. Dr. Annette completed the certification program in animal chiropractic from Options for Animals in 1998, became a member of the American Veterinary Chiropractic Association (AVCA) at that time and has maintaned an animal practice ever since. She has also completed some training in advanced neurology and is a co-founder and a co-director of the Veterinary Chiropractic Learning Centre. She is also a founding member of the College of Animal Chiropractors (CoAC). She enjoys sharing her knowledge through public speaking and teaching with audiences ranging from the interested public to other professionals. Dr. Annette shares her life with her four footed child Gypsy Rose. Dr. Kim Adie graduated the Canadian Memorial Chiropractic College in 1994 with Clinic Honours. On graduation from CMCC, Dr. Adie received a research award from the CCRC in recognition of her research endeavors. Dr. Adie has studied several manual techniques and various soft-tissue techniques including Cranial Sacral Therapy. She maintained a private part-time practice in Minden, Ontario for 13 years. Dr. Adie's love of animals, manual adjusting, and appreciation and passion for movement led her to focus her efforts on animal chiropractic care. 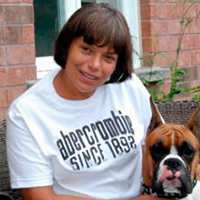 She attended the Canadian Animal Certification Program in 2008 and has since sold her 'human' practice and works with animals, both equine and canine, full-time. 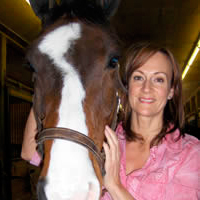 Dr. Adie continues to further her knowledge and interest in anatomy and neurology, attending courses in equine anatomy and dissection at the University of Guelph and Advanced Neurology through the Healing Oasis Wellness Center. She hopes to educate and inspire people with passion for animal chiropractic through the teaching and hopes to contribute to the evolution of the profession through her involvement with the College of Animal Chiropractors. Dr. Adie resides in Lindsay, Ontario with her 2 awesome children Sam and Grace, cats, Daisy and Harry, and a much loved Whippet mix, Reggie who loves dog sports, especially dock diving where he holds the Canadian UADC title. Dr. Ernie Perry graduated from the Canadian Memorial Chiropractic College in 1987, being accepted into the College after completing two years of undergraduate study in Biology at the University of Prince Edward Island . He has maintained a private practice in Toronto since his graduation. 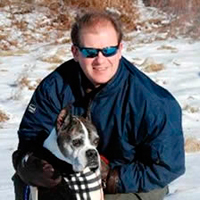 Dr. Perry's interest in animal chiropractic started with his love of Boxers and competing in the show ring. He went on to study animal chiropractic at Options for Animals, successfully completing the program, and becoming AVCA certified in 1998. He has been treating animals ever since. Dr. Perry's animal practice has since evolved into primarily an equine practice. He truly enjoys treating horses of all disciplines and breeds. He especially enjoys treating standardbreds, working closely with trainers and owners. He currently divides his work week between people and animals. His growing interest in animal chiropractic led him to continuing studies in Advanced Animal Studies through Options for Animals International Academy of Animal Chiropractic. He has competed all the lectures and labs, and is currently working on the research required to complete his Advanced designation. Dr. Ernie Perry looks forward to sharing the knowledge and experience he has gained over the last 13 years. He shares his home with his wife, Dr. Gloria Bracchetti, and boxers Peyton and Isabella. Dr. Gloria Bracchetti graduated from the Canadian Memorial Chiropractic College in 1989, following a Bachelor of Science degree in exercise science from Concordia University in Montreal . Dr. Bracchetti has been in practice since 1989. 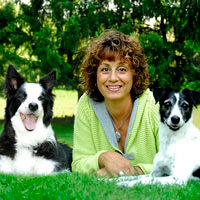 Dr. Bracchetti's love of animals and her involvement in the dog world led her to the study of animal chiropractic. In 1998, Dr. Bracchetti successfully completed the animal chiropractic certification program offered by Options for Animals. She has maintained an animal practice ever since. Dr. Bracchetti brings many years of experience in the field of animal chiropractic. 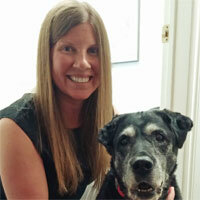 She has worked in veterinary clinics across Ontario for the last 15 years, bringing a wealth of clinical experience. She specializes in small animals, including companion dogs and cats, puppies to geriatrics. She has also had the privilege of working with many of Canada's top dogs in every discipline; conformation, agility, obedience, flyball and disc. Continuing education endeavours include the completion of the Advanced Animal Studies program through Options for Animals International Academy of Animal Chiropractic. All lectures and labs have been completed, and she is currently working on the research required to complete her designation. 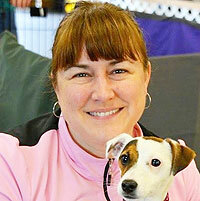 Dr. Bracchetti enjoys public speaking, sharing her knowledge with with kennel clubs and breed clubs. Future interests include pursuing research for the advancement of animal chiropractic. Dr. Bracchetti and her husband, Dr. Ernie Perry share their home with 2 champion boxers Payton and Isabella. They enjoy showing their dogs in conformation , traveling, and hope to breed boxers in the future under the BellaVita prefix. Dr. R Scott Hie, D.C.
Dr R Scott Hie graduated from Canadian Memorial Chiropractic College in 1996, being accepted into the College after completing two years of undergraduate study in Animal Science at the University of Guelph. He has maintained a private human practice in Toronto since his graduation. In addition, he completed the Canadian Animal Chiropractic Certification Program, he is a member of the College of Animal Chiropractors and the American Veterinary Chiropractic Association. Dr. Hie has a longstanding passion for horses which has lead to his involvement in many different equine disciplines including harness racing, thoroughbred racing, polo, barrel racing, endurance, reining, 3 day eventing, jumpers, and hunters. When he is not practicing he enjoys travelling, his motorcycle, many sports and time on his family's farm. 1998 – Present: Faculty and main instructor at the Healing Oasis Wellness Center, a Nationally Accredited School offering state approved (Wisconsin Educational Approval Board) post-graduate programs. All programs are approved by the Wisconsin Educational Approval Board. The Healing Oasis received full accreditation by the Accrediting Council for Continuing Education and Training (www.accet.org) recognized by the US Dept of Education. Programs include: Veterinary Spinal Manipulative Therapy; Veterinary Massage and Rehabilitation Therapy and Advance Neurology – VSMT. 2005 – Present: Faculty and main instructor at the Veterinary Chiropractic Learning Centre – Ontario Canada and the Backbone Academy for Veterinary Chiropractic and Healing Arts in Sittensen, Germany. Post-graduate educational institution offering approved programs in Veterinary Spinal Manipulation or "Animal Chiropractic". 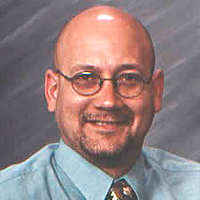 2002 – Present: Enrolled in the Carrick Institute; Chiropractic Neurology Program and Masters Degree program. 1989: Successfully completed the certificate of completion offered by the American Veterinary Chiropractic Association and Options for Animal Veterinary Chiropractic Center. Course length = 150hrs. Dr. Rivera also lectures during every module that is offered at the Healing Oasis Wellness Center (monthly 7 – 8 days per month). Every module is 45 hrs long (Wed-Sun for the Veterinary Spinal Manipulative Therapy), 32 hrs long for the Veterinary Massage and Rehabilitation Therapy) among other CE seminars of different length. 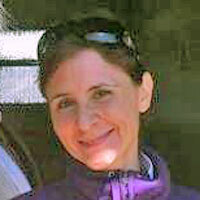 Dr. Lori Berardinucci graduated from the Canadian Memorial Chiropractic College in 1992. She started work immediately in a busy office in Oshawa, Ontario. Although this kept her busy and happy, she had always yearned to work with animals. It wasn’t until years later that she attended the Veterinary Chiropractic Learning Centre and completed the Canadian Animal Chiropractic Certification Program. She has since completed several advanced technique courses, canine rehabilitation seminars and received her equi-tape certification. Lori has enjoyed recreational obedience, agility, flyball and search and rescue with her Doberman pinschers in the past, as well as riding her trusty Connemara in the hunter/jumper disciplines. 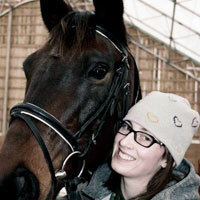 Today, she maintains a private practice and divides her time between humans, horses, dogs and the occasional cat. Dr. Berardinucci lives in Campbellville with her husband and two children and their little Shih Tzu, Mushu. Dr. Lisa Bowes graduated from the Atlantic Veterinary College in 2009.She practiced briefly in her hometown in Nova Scotia before moving to Ontario and has been working in small animal private practice in the GTA ever since. Dr. Bowes has a special interest in multimodal pain management and in 2015 completed certification in Medical Acupuncture for Veterinarians. In 2016 she attended the Veterinary Chiropractic Learning Center and completed her training in Veterinary Spinal Manipulative Therapy (VSMT). She is currently enrolled in the Canine Rehabilitation program at the University of Tennessee. Dr. Bowes lives in Hampton, Ontario with her husband, Corey, and they spend any free time renovating their century home and working on their hobby farm. Their home is shared with three cats - Samuel Sasscat, Princess Zoey, Baby Ruby - and their dog, Skills, a Whippet/Jack Russell/Border Collie. Dr Cerah Bowyer graduated from WCVM in 2006 and moved to Barrhead, Alberta to practice in a mixed animal practice, Barr-North Veterinary Services. In 2008 she certified through IVAS in veterinary acupuncture and in 2012 Certified through VCLC in VSMT. Currently Dr. Cerah Bowyer is a partner in Barr- North Veterinary Services Ltd and enjoys the life as a mixed animal veterinarian. Her VSMT has become a huge part of her small animal and equine practice. She has even used it on dairy and beef cattle, rabbits and sheep! At home with her husband and three kidlets she enjoys their dogs, horses, rabbits and cats and spends any spare minutes riding, gardening and generally being outdoors. She is excited to be part of the VCLC team as she continues to meet other great professionals, improve her own skills and help others learn about VSMT. Dr. Alycia Chrenek graduated with distinction from the Western College of Veterinary Medicine(WCVM), University of Saskatchewan, and following graduation completed an equine medicine and surgery internship and the University of Melbourne in Australia. When she returned she worked as a clinical associate veterinarian at Moore Equine Veterinary Center in Alberta where she performed both primary case and referral clinic veterinary functions. 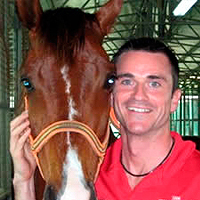 In this role, Dr. Chrenek was also responsible for designing key management protocols and performing advanced equine lameness techniques, dentistry procedures, reproductive management, acupuncture and chiropractic treatments. Dr. Chrenek joined the Zoetis Veterinary Services team in 2015 to help support the Equine business in Western Canada. Dr. Chrenek was raised on a small cow-calf operation in Central Alberta and is still part of that operation today. Alongside the ranch horses and trips to the Rocky Mountains, she raised, trained and showed warm blood horses and has recently started riding dressage. 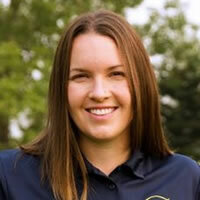 Dr. Jordan Cook is a 2010 graduate from the Ontario Veterinary College at the University of Guelph. 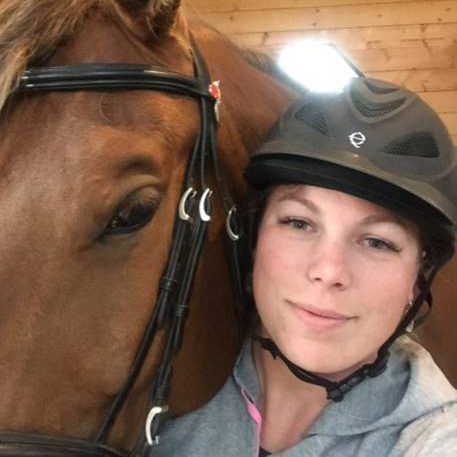 She completed an equine internship at Moore Equine Veterinary Centre in Calgary, Alberta before returning to Ontario to work at McKee-Pownall Equine Services. There, she worked on everything from pasture pets to high level competition horses performing lameness diagnostics and treatments, dentistry, wellness, and emergency care. She also expanded her racetrack clientele to the neighbouring Standardbred and Thoroughbred tracks. She completed her veterinary spinal manipulative therapy (VSMT) training at the Veterinary Chiropractic Learning Centre and is a member of the College of Animal Chiropractors. Unable to resist the draw of the west, she returned to Moore Equine in May 2015, where her clientele covers a multitude of disciplines including dressage, hunter/jumper, barrel racing, cutting, and reining, mounted shooting, and National Show Horses. Dr. Cook can also often be found working on harness horses at the new Century Downs Racetrack in Calgary. VSMT has become an integral part of her practice and she is excited to work towards her client goals and optimize patient performance and comfort. She recently brought home a German Shepherd X puppy, Kira, who in true empathetic vet fashion, had persistent aortic arch surgery performed. Kira is growing like a week and keeping Dr. Cook active! She also enjoys hacking through the mountains on an off-the-track Standardbred. Dr. Julie Cull graduated from Guelph University in 2002 earning her Bachelor of Science, specializing in zoology.After personally experiencing remarkable results from chiropractic care, Dr. Cull decided to help others achieve a better quality of life through chiropractic and enrolled at New York Chiropractic College. Soon after graduating in 2006, Dr. Cull settled in Hamilton where she works at both the Mountain Wellness Centre and at KGC Therapy. In 2015, Dr. Cull decided to combine her passion for chiropractic and her love of animals by furthering her education and attended the Canadian Animal Certification Program at the VCLC. She is now thrilled to be offering qualified animal chiropractic care to her furry friends. In her spare time, Dr. Cull enjoys camping and hiking with her sweet 4-legged companion Daphne and 2-legged companion, Brian. 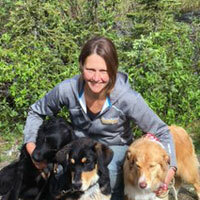 Dr. Fisher graduated from the Atlantic Veterinary College in 1997. Early in her career she realized that she wanted to take a more holistic approach to healing. In 2005, she became a certified Veterinary Acupuncturist through the International Veterinary Acupuncture Society, and ever since her practice has included both acupuncture and Traditional Chinese Medicine herbal therapy. Her love of competing in Agility and her interest in keeping the canine athletes sound, led her to become a Certified Canine Rehabilitation Therapist in 2010. Dr Fisher practices at Full Circle Veterinary Alternatives in Dartmouth, NS and her case load now includes mostly orthopaedic and neurologic patients as well as canine athletes competing at the highest levels of agility and flyball. In 2015 she attended the Veterinary Chiropractic Learning Center and completed her training in Veterinary Spinal Manipulative Therapy (VSMT). She is now a member of the College of Animal Chiropractors and is certified in Animal Chiropractic in Nova Scotia. Her training in VSMT has changed the way she looks at her cases and Chiropractic is now an integral component of her practice. Dr. Fisher lives in Dartmouth with her three year-old daughter Liv, her 4 cats and her 3 dogs, Wisp, Quick and Wow.